Daley, intentionally or unintentionally, has curated an intriguing imagery around him. He goes solely by his surname as his stage moniker. He has an iconic aesthetic — round glasses, perfectly coiffed ginger hair — and an even more iconic voice: His inimitable falsetto has ultimately separated him as a matchless talent, and one that should not be ignored. 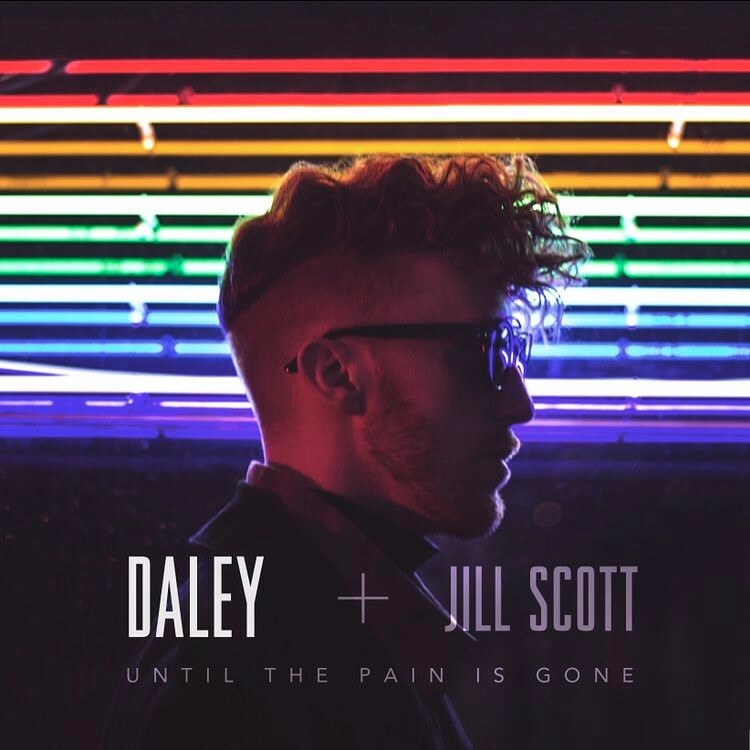 Since 2010, Daley has teamed up with the likes of Jessie J, Gorillaz, Marsha Ambrosius and, most recently, Jill Scott; in short, he has firmly planted himself within the music industry as an artist worthy of note. Having only released an EP in 2012 and a subsequent debut album in February of 2014, it’s been a little while since anyone’s heard from him. Daley may have been away for 3 years, but you’d better believe it’s all worth the wait. Now, he’s returned in full force, having put out two singles thus far: the bouncy, 1999-era Prince-esque “Sympathy,” and the luminous, soulful “Until The Pain Is Gone (ft. Jill Scott).” His sophomore effort, The Spectrum, is due out in the coming months, and should further establish Daley as a behemoth of uniqueness and talent. Atwood Magazine: So you released your new single (Until the Pain is Gone ft. Jill Scott), and I love it. I think it’s one of my favorites you’ve ever done. What was that process like, working with Jill Scott? I know that you’ve cited her as one of your biggest influences, so how did that come about? Daley: I’ve known Jill for about three years. I first met her when I was starting out in London. She came over and was doing these two shows, and I opened up for those shows. And, obviously, was kind of ridiculously geeked out, because it’s Jill Scott. So I got to meet her after the show, which was amazing. And, you know, we just connected, and she was really just kind and encouraging, and we exchanged details, and kind of stayed in touch over the last couple of years, just bumping into each other in different places. And then I was writing this song, “Until the Pain is Gone,” and I don’t know what it was, but there was just something about it — maybe in the music, or the melody, or something, but it really just gave me a kind of “Jill” feeling. Not that it was based on a Jill Scott song, but I just felt like her energy was in it. So I kept writing it, and kind of ignoring it [the feeling], and then I was like, “Well, I do have her number…” It just took me awhile to get up the courage to do it. But then I just thought, “You know what? Just send it. You love the song.” And that’s my criteria; if I like a song, then that’s the best I can do. So I sent it just to see what she’d think, and she loved it. She was down to do it. Unfortunately, we didn’t get to record it in the same place, but she recorded her stuff and sent it, and then we got on the phone and talked about it and how we wanted to do it. It was really nice, and it’s just an honor, you know? She’s just an amazing artist, and someone who I’ve looked up to for a long time. Very cool. And you started writing it a couple years ago - why did it take so long to release anything? Daley: Well, I think that’s just the creative process, really. In the process of making this album, I guess this was one of the earliest ones I did, and for a while it was just me; I hadn’t sent it to Jill. I wrote it, and I knew I wanted it for the album, and that it would probably be the first single. So, you know, I was getting on with writing the rest of the album, and then sometimes when I do that, sometimes I’ll go back and revisit a song, and then anything that I hadn’t quite finished, or any thought that I was stuck on, sometimes, when you listen back to it, you’re like, “Oh yeah, that’s what that is.” There was just a couple of lines that I wanted to figure out, and then there was the thing of sending it to Jill. I wanted to make sure I had them right. You know, it’s my second album, and I’ve been away for a couple of years, so I wanted to make sure I had the right framework around it in terms of management and label. I had to make sure that was all right before starting the new process. What can people expect, based off the new material, versus the first album and even the first EP? Is it different, is it the same? Daley: Yeah, I still wanted to keep all of the same checkpoints in it. I still wanted to write from the same place, still have it be an honest record, and try and tap into the subjective things I haven’t done before. So, I’d say it’s different in the sense that I wouldn’t call this like, a “heartbreak” album, which I think the last one kind of was. This one definitely is still definitely talking about love and relationship things and stuff like that, but actually more on the positive side. And then the other stuff I just did a lot of self-discovery over the last couple of years, and so it’s just more honest stuff about kind of my feeling of being alive, and being here, and my purpose for being. Living, being true to yourself, things like that; that was quite an important thing for me to talk about. I also, last year, lost someone that was really close to me, my manager and good friend, Richard Antwi, so I had that experience which then gave me another creative — or, it factored into my creative process; just expressing that, which was really a first, you know, to be writing from that perspective. And that’s kind of why I ended up calling the album The Spectrum, because I felt like when I started out, I was like, “Alright, I’m going to make an album, and it’s like this, and it sounds like this,” and it was one thing. But then it just became a range, it became a spectrum of things that I couldn’t really deny. So, to take it back to your original question, yeah, I hope it would feel the same, and that people would feel the same about it and then connect to it and relate to it in that way, but I think definitely, sonically and in terms of subject matter, it’s just new territory. You’re growing as a human being! So, with your songwriting - and you kind of touched on this, with the way that you write - do you have any inspirations that maybe would be surprising to people? Daley: Oh yeah, for sure. I mean, the first band I ever really got into, and I still love them to this day, but they’re so different from everything else that anyone would associate me with, is The Cranberries. They’re just an Irish rock band, but they’re just great. Dolores [O’Riordan], the lead singer, is amazing. I don’t know – maybe it’s because it was like a CD I found in my dad’s record collection, and I just kind of got obsessed with it. So, that’s one that people would never really guess. I listen to a lot of film scores. I think, as a songwriter, it’s important to listen to as much as you can. I know you love Star Wars. Daley: Yeah, and that’s like, my number one. And that, strangely enough, sort of influences me in some ways; it factors in. Even the new music video, I kind of ended up trying to make it a little bit sci-fi. There’s the blue milk in the video, and that’s actually from Star Wars. But yeah, you know, some of my earlier influences were my British influences. I’m a big Radiohead fan; Imogen Heap; but I guess people associate me with more R&B, and obviously Prince is a massive influence of mine – but I always talk about that. But, yeah, some of those influences. Would you say that The Cranberries is more of guilty pleasure? Or, do you have any guilty pleasures? Daley: Oh my god, yeah. I mean, I always feel a bit wary about revealing mine. But I definitely have a lot of guilty pleasures, and I think that’s — guilty pleasures is like, if you don’t have them, are you just this really serious music listener? Daley: Yeah! I think, as a songwriter, it’s important to listen to as much as you can. I listen to cheesy pop things sometimes, from the 90s or the 80s, but there’s a lot to take from that. If you listen to things, it factors in. I’m probably not going to write a song like that, but it might help me with the melodies, or it might help me with something else. Manchester is also the reason why I got into the music that I did, because I couldn’t find it in the city. Right. So growing up in Manchester, or around Manchester, what was that music scene like? Was there a big R&B scene? What kind of drew you into getting into the style of music that you do? The 1975 is from Manchester, too. Daley: Oh really, are they? Oh wow. Well, okay, they’re pretty good. But they’re a band! But they’re a band, exactly! Daley: And there are some talented people in other genres, of course, but I found it difficult to even play shows sometimes. So I ended up going to London, and then automatically just found loads of places to sing and do stuff. But, I think that Manchester is also the reason why I got into the music that I did, because I couldn’t find it in the city. So I would just stay in my room and listen to this, listen to that; Jill Scott, Floetry, Maxwell, D’Angelo, Marvin Gaye, Donnie Hathaway, Chaka Khan. So, it shaped me by pushing me the opposite way. And you travel a lot, it seems, between the U.S. and the U.K., or at least from what I follow on social media. Does that affect your musical process at all? Daley: No, not really. It’s really similar; it’s pretty much the same wherever I go. I’ve got music friends in London who I write with, and it’s the same in L.A. My process is pretty much the same, but the only difference is that in L.A., the people are a bit more driven, I guess. It’s not always just like, let’s chill and make a vibe. There’s a bit more determination to it. That’s surprising to me, for L.A. I feel like L.A. is so laid-back. Daley: It is, but I think the music industry can get a bit intense. …it’s […] the unity of music that matters to me. Fair enough! So, do you have a song of yours, of anything that you’ve ever done, that has a special meaning to you, or a lyric that you think, that’s it, that’s the one? Daley: That’s quite hard. I’m sure there are. I don’t know if I could choose any one. There’s quite a lot, but I don’t know which would be my “defining” one. 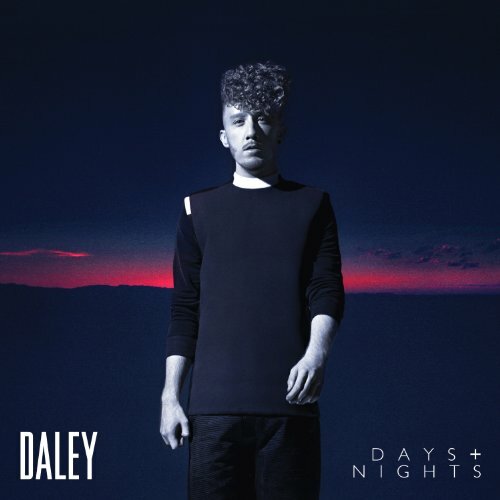 Daley: “Alone Together.” I don’t know if it’s — well, yeah, no, it’s probably one of my favorites, because it’s such a magical moment with the audience, when that song starts. It’s probably one of my most popular over here. You know, it definitely has that thing, where everyone’s into it. So that’s always fun. Some stuff off of the new album, I’m really excited to start to perform, so maybe it’ll change later. I’ll just check in again later. So that brings me to my last question: what is your favorite part about making music, and why does it matter to you to make music? 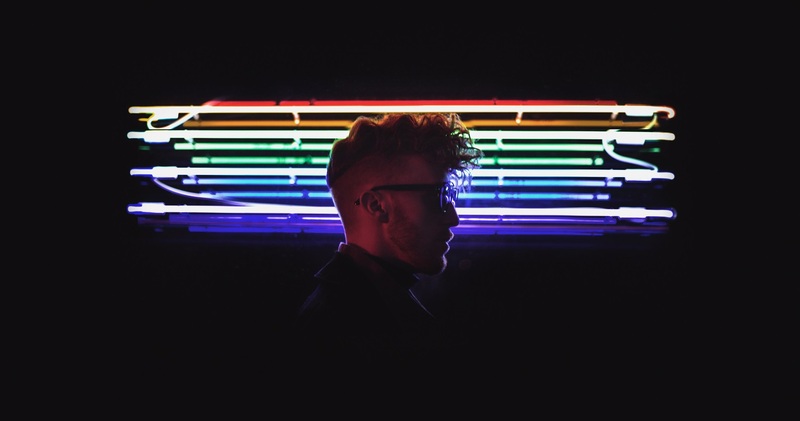 Daley: My favorite part about making music is just being able to channel things into something productive. So, whether it’s something positive that you want to celebrate, or it’s something negative that you can’t stop thinking about, it’s just amazing to be able to channel it, and give it some kind of closure or some kind of purpose. So, personally, that’s the one thing I really like about making music. As for why it matters, that’s something that has developed over time for me. When I first started, I think I just wanted to be a musician, I just wanted to be an artist; I just wanted to do it, and I wanted to tour, and I wanted all that. But then it’s like, since I’ve done a full album, and since I’ve toured, and since I’ve met people, and I’ve seen how music connects people, I think that’s now why it matters to me. I do love the whole therapeutic process, and the performing and stuff like that, but it does having a meaning now for me. It’s bringing people together. And, in my personal life, I’d say I’m actually quite reserved; I keep to myself often, and I don’t always put myself in situations where I’m embracing lots of people, so it means a lot to me that that gives me that connection with people that I can then sort of literally embrace people; especially with everything that’s going on in the world, and especially in America. Now, when I do a show, I feel like this is just people coming together, and we’re all just in it, and we’re all feeling the same things and doing the same things. So I guess it’s like, the unity of music that matters to me. It is not insignificant to note that Daley’s musical purpose centralizes around light, love, and unity. There is an inherent and tangible desire within him that wholly reflects upon his creative process; there is a touted honesty that subsequently provides him with an outlet to make music that is relatable, thoughtful, and synergistic. 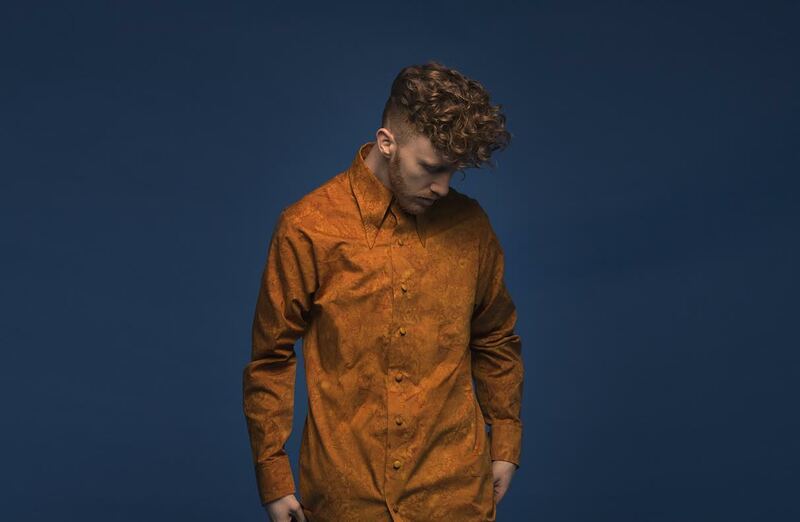 Daley is a gifted ingenue deservedly staking claim in a diverse musical landscape — but he is making it all his own.